This was the first half of day four of my east coast Rush tour. Monica and I left Toronto by 11:00 today, and drove on the QEW toward Buffalo. 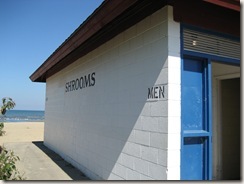 Along the way, we planned on stopping in the Port Dalhousie area of St. Catharines, and then Niagara Falls. 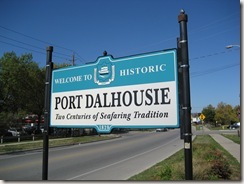 Having read all of Neil Peart's books and articles, I'd read a lot about Port Dalhousie (pronounced "Da-looozy" by natives), where Neil grew up, so I'd always wanted to go there. The merry-go-round is still there, and its still "only 5 cents." But it was closed, so I didn't get to see it. But later I read that it's a carved, wooden merry-go-round that is one of the last of its kind, and was restored in the 1970s by local residents. When I go to a new place, I always try to connect it to other places I've been. Port Dalhousie seemed a little like Washington State's Port Townsend because of the old buildings along the waterfront area. But the marina and the lighthouses reminded me of parts of the Oregon Coast or even Northern California. It definitely had its own "feel." "In 1956, we moved to a brand-new split-level on Dalhousie Avenue -- then Queen Street, before the imperialist forces of St. Catharines invaded Port Dalhousie, in 1961, and amalgamated it (like Saddam Hussein amalgamated Kuwait, it seems to me)." Monica and I were hungry, so we walked into "Old Port Dalhousie" to find a restaurant. 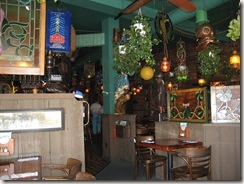 The place we found, Murphy's Restaurant, was a fine establishment decorated with a nautical theme throughout. 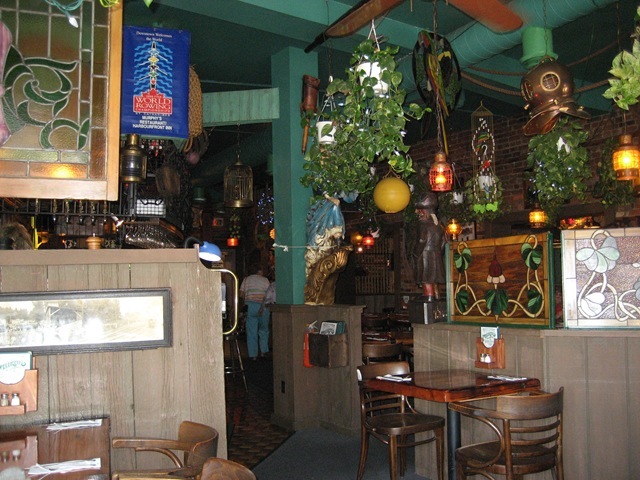 Our server was easygoing, and her intense lime-green eyes seemed to glow in the afternoon sunlight. We asked her about the "football field" we'd seen from the road, and she said that what we'd actually seen were the grandstands for the yearly Royal Henley Regatta. 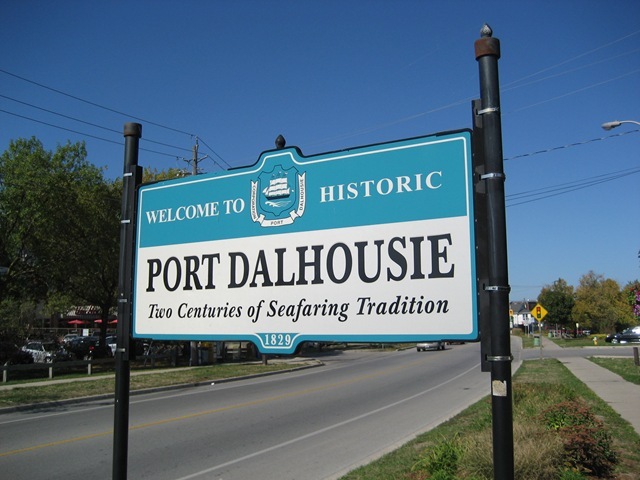 I had rowed at the University of Washington and knew that rowing was another important sport in Canada, like hockey, but I had never known that they had a big regatta in Port Dalhousie. 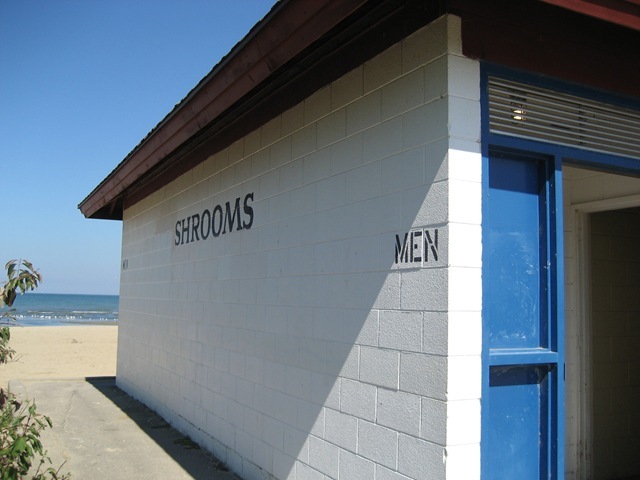 After eating we walked back to Lakeside Park, and I decided to use the washroom there (someone had vandalized the exterior of the washrooms to just "Shrooms," which Monica and I thought was funny). When I was inside, the radio was blasting through ceiling speakers. The DJs started taking about the Rush concert the night before. They said something to the effect of: "For those of you who left the Rush concert early last night, the band has just finished its 200th encore and the show is finally over." Then the DJ started criticizing Rush lyrics. To prove his point about how bad they were, he read "Working Man" in its entirety, and then he went on to "2112," reading both the prose sections and the lyrics. Now here was a moment you don't have too often. I was in the bathroom at Lakeside Park, the place Neil Peart used to work and play in his childhood, and the subject of the radio broadcast was Rush, and, more specifically, Neil Peart's lyrics (at least for "2112"). This was true synchronicity (a meaningful coincidence, per the Jungian definition), and it made me smile. By the time I left the bathroom, the DJs were still reading from "2112." For disliking the lyrics so much, I was surprised that they spent so much time on it. "The air is thick today!" 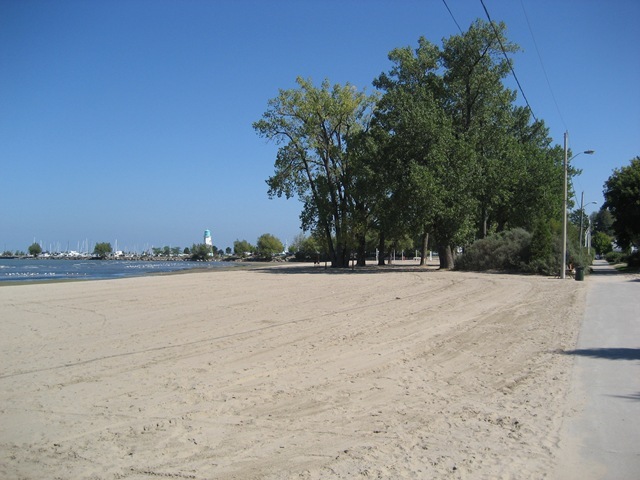 After that, Monica and I drove around Port Dalhousie a little more, looking for places that Neil had mentioned in his writings. But both of us knew that these places had changed significantly since Neil's childhood. Still, it was a beautiful town and one that seemed like a nice place to grow up or visit on a three-day weekend if you lived nearby. 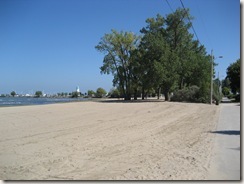 But the stench of all that decomposing algae will always be associated with Port Dalhousie in my memory. 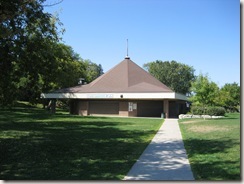 One local man, who was getting in his car at the same time I was at Lakeside Park, proclaimed, "The air is thick today!" I asked him if it was always this bad, and he said this was the worst he'd ever smelled. And then he tore off in his pickup to get away from the smell.